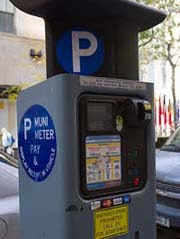 According to the New York Post, drivers will be able to prepay for their muni meter parking up to one hour prior to the parking regulation going into effect. The meter will only have to be paid for the time the vehicle is parked during those regulation hours. All city muni meters will be changed by July.